The second phase of voting for 95 Lok Sabha seats across 12 states and one Union Territory is scheduled to take place on Thursday. The polling for Vellore parliamentary constituency in Tamil Nadu has been cancelled by EC following allegations of use of money to sway the voters. Prime Minister Narendra Modi will address rallies at Akluj in Maharashtra, Himatnagar, Surendranagar and Anand in Gujarat on Wednesday. Congress president Rahul Gandhi will address a rally in Wayanad in Kerala. Rahul is also contesting from this seat besides Amethi in Uttar Pradesh. Bihar Chief Minister and JD(U) leader Nitish Kumar will address rallies in Supual, Jhanjharpur and Madhepura. BJP leaders Sushil Modi and Mangal Pandey will address rallies in West Champaran, East Champaran and Chhapra. RJD leader Tejashwi Yadav is scheduled to address rally in Begusarai and Araria. BJP leader Radha Mohan Singh will file her nomination from Motihari. RLSP candidate Akash Singh will also file his nomination from Motihari in the presence of Shatrughan Sinha, Jeetan Ram Manjhi and Upendra Kushwaha on Wednesday. BJP candidate Rama Devi will file her nomination from Sheohar Lok Sabha Seat. Sitting BJP MP Sanjay Jaiswal will file his nomination from West Champaran. JD(U) candidate Vaidyanath Prasad will file nomination from Valmiki Nagar LS seat. * Anti-national powers within and outside the country and many Christian and Islamic countries are funding thousands of crores of rupees to prevent PM Narendra Modi from coming to power, says Swami Ramdev. * Odisha: Security heightened in Ganjam district’s Aska ahead of voting for #LokSabhaElections2019 tomorrow; Bargarh, Sundargarh, Bolangir, Kandhamal and Aska go to polls in the second phase of general elections. 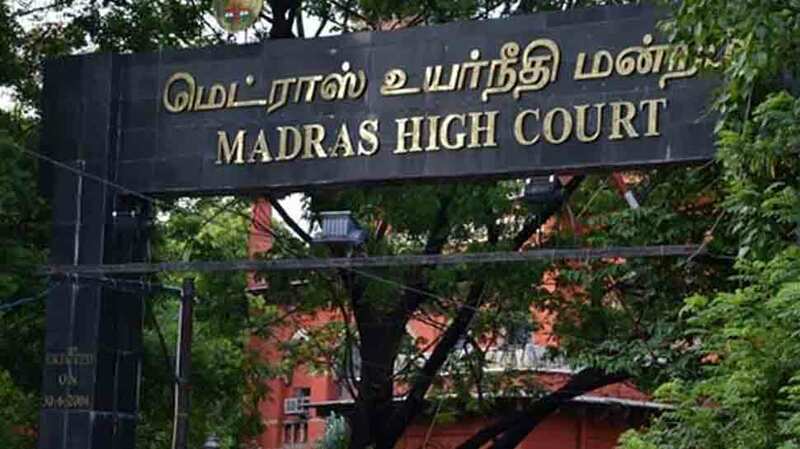 * Madras High Court upholds the decision of Election Commission of India to cancel the election to Vellore Lok Sabha constituency, dismisses pleas moved by AIADMK Candidate AC Shanmugam and independent candidate K Sugumar. * Both ruling BJP and Congress in Jharkhand are still waiting for their top leaders to campaign in the state where first round of polling in the ongoing parliamentary elections will take place for three seats on April 29. * Sitting MP from Sirsa Charanjeet Singh Rori was re-nominated as the Indian National Lok Dal Wednesday announced the names of six candidates for the May 12 Lok Sabha polls in Haryana. * Breaking: Polling parties leave for their respective polling stations in Jammu and Kashmir’s Doda, Srinagar and Udhampur parliamentary constituencies will vote in the second phase of Lok Sabha election. * Karnataka: Chincholi Assembly by-poll to be held on May 19, counting on May 23. * Karnataka: Polling parties depart with EVMs for their respective polling stations in Mangaluru; 14 out of 28 parliamentary constituencies will go to polls in the second phase of Lok Sabha Election. * Election Commission Flying Squad conducted checking at the residential premises of All India NR Congress Chief and former Chief Minister of Puducherry, N Rangaswamy in Puducherry. * BJP releases list of four candidates for Lok Sabha Election 2019 in Madhya Pradesh; Sadhvi Pragya Singh Thakur to contest from Bhopal against Congress’s Digvijaya Singh. * Union Minister Mukhtar Abbas Naqvi has been booked for calling Samajwadi Party leader Azam Khan ‘Mogambo’, a popular villain character from Bollywood. * The Income-Tax Department seized Rs 1.48 crore cash stashed allegedly by supporters of TTV Dhinakaran’s AMMK party to bribe voters in Tamil Nadu’s Theni district, where an assembly bypoll is scheduled Thursday. * Officials of the Election Commission, drawn from its model code and legal divisions, are likely to watch the biopic on Prime Minister Narendra Modi on Wednesday on the directions of the Supreme Court. * The Bharatiya Janata Party (BJP) chief Amit Shah on Wednesday hit out at Congress president Rahul Gandhi and NCP chief Sharad Pawar claiming that under their government Maharashtra lagged behind in every area and it was BJP and Shiv Sena which have restored the state`s lost glory. * Actor-turned-politician and BJP candidate from Gorakhpur, Ravi Kishan said that he finds nothing wrong in Uttar Pradesh Chief Minister Yogi Adityanath invoking the name of Lord Hanuman during election rallies. * Election Commission flying squad checks the luggage of Odisha Chief Minister and BJD leader Naveen Patnaik at a helipad in Rourkela, Odisha. * “BJP people are also saying they will win 50 out of 42 seats as they don’t even know how many seats are there. Let them dream, ppl of Bengal are with Mamata Banerjee&TMC. May 23 we’ll see where these people hide,” Derek O’Brien, TMC on BJP claiming they will win 30 out of 42 seats. * Modi Ji says ‘Pawar Sahab is a good man but has family issues. His nephews are out of his hands.’ I wanted to ask him what does he have to do with issues at my home? But then I realised I’ve my wife, daughter; son-in-law, nephews visit us, but he has no one. * Complaint filed with State Women Commission against BJP candidate from Mysuru Pratap Simha for alleging mentally and physically harassing a woman. * “I have formally joined BJP, I will contest elections and will win also. I have been extended BJP membership on Tuesday,” Sadhvi Pragya Thakur said. * Mohammad Ali Ashraf Fatmi resigns from Rashtriya Janata Dal after being denied a ticket to contest Lok Sabha poll. He was an MP from Darbhanga constituency. * Election Commission is organising workshops in different parts of the country in order to create awareness among voters ahead of the second phase of Lok Sabha poll. * “I understand there are complex problems here. I am not here to tell you my Mann Ki Baat…I want to know what is in your hearts,” Rahul Gandhi said while addressing a rally in Wayanad. * “In order to make India advanced, the country should have a similar government at the Centre and state to deliver new heights in the 21st century. It was because of the saffron sea that Sharad Rao left the field. He is a big player and understands which side the wind blows,” Prime Minister Narendra Modi said in the rally in Madha. * CPI candidate Kanhaiya Kumar was surrounded by angry locals in Begusarai during his campaign and was questioned by the locals over his ‘azadi’ slogans. * Sadhvi Pragya Singh Thakur has arrived at the BJP office in Bhopal and is currently meeting senior BJP leaders Shivraj Singh Chouhan, Ramlal, and Prabhat Jha. * Congress President Rahul Gandhi performs rituals in memory of his father Rajiv Gandhi after offering prayers at the Thirunelli temple. * Congress President and party’s candidate from Wayanad parliamentary constituency, Rahul Gandhi offers prayer at the Thirunelli temple. * AIADMK ally and Vellore candidate AC Shanmugam to move Madras High Court today against EC’s decision to cancel Vellore Lok Sabha poll. * “If you want to win a war, there’s nothing fair or unfair, democratic or undemocratic way of winning. You’ve to win it by any means. I’ve seen in 2016 elections, how central forces beat up our boys, there was bloodbath,” said TMC MLA from Chakdaha, Ratna Ghosh Kar. * “On the election, I think it is the party which decides who contests from where. So I go by that,” ​Defence Minister Nirmala Sitharaman on why is she not contesting Lok Sabha election. * As a part of SVEEP program a ramp walk event was orgainised by Raipur district. Many Octagenerians participated in this ramp walk event. * EC issues notice to Congress MLA Kawasi Lakhma for controversial remark on EVM. * Uttar Pradesh Chief Minister Yogi Adityanath to visit Ayodha on Wednesday. * “CEC has implemented the order given by Delhi. There is admittance at some level that polls in Tripura on 11 Apr wasn’t free & fair as claimed by BJP govt in state,” Pradyot Kishore, Congress on deferment of 2nd phase polling in Tripura East LS constituency. * “BJP cannot prevent my success through this income tax raid. The raid is anti-democratic, deliberately planned and tested, and no documents have been seized,” DMK candidate Kanimozhi on IT raids at the house where she is staying, in Thoothukudi.